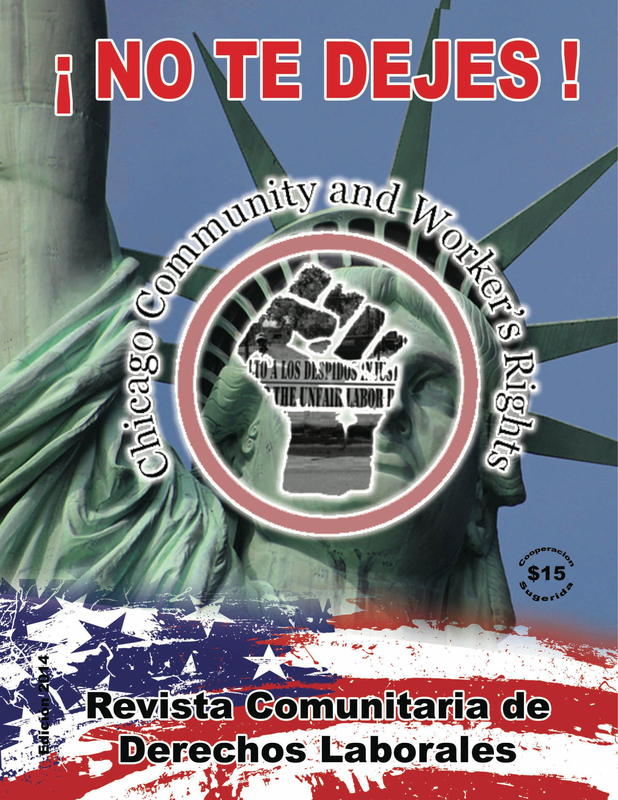 Chicago Community and Workers’ Rights believes that all people should have access to dignified well-paid work regardless of their identity, immigration status, abilities, age or where they come from. We work primarily with immigrant Latino workers because that is who started the organization and through our shared experiences with other Latino workers around language, racism, xenophobia and immigration experiences (both for citizens and non citizens), we are better able to understand and provide information for each other. When we talk about Latino immigrant workers we do so with the understanding that this population is not homogeneous, and that people have a variety of experiences and knowledge that when brought together can create a wealth of resources and strength to create change collectively. We believe that this diversity should be reflected in all the decision-making bodies of the organization. Though working primarily with Latino immigrant workers, CCWR collaborates with all workers in defense of their rights, and shares its knowledge collaborating on a variety of campaigns and programs with other organizations that work with a variety of populations, stemming from the belief that collective action directed by those most affected creates sustainable change and fosters solidarity across communities to create even more change and better working and living conditions for all families.